What can turn a manly, beard sporting 30 year old into a giggling 13 year old girl? 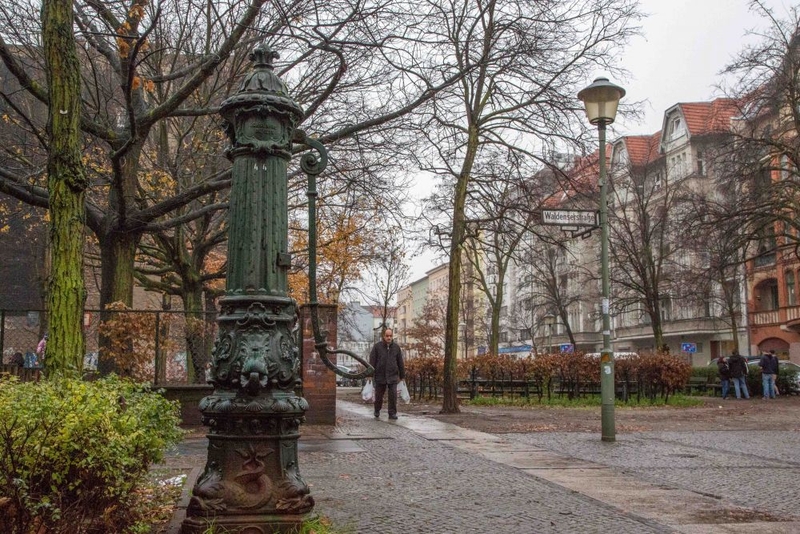 When I first visited Berlin, it wasn’t long before I started noticing beautiful, ornate water pumps everywhere I went. Standing like sentinels from a bygone era, their solid simplicity struck a chord with me. My inner child, which to be honest is pretty quick to make an appearance, begged me to give the handle a few solid pumps, to see whether these things still worked. 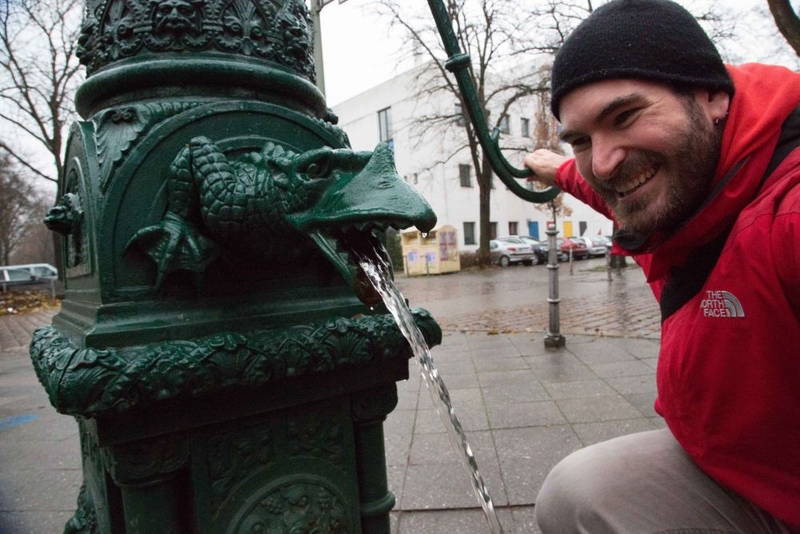 What happened next transformed this 30-something-year-old man sporting the manliest of beards, into a 13 year old girl, squealing with delight as the fish shaped spout divulged its watery deluge. Since that day, every time I catch sight of one of these water breathing dragons of a forgotten age I can’t help but smile as I admire these relics of a time when machinery was also imbued with beauty and creativity. To be honest, it has taken some time and quite a bit of personal growth, but I nowadays I can usually walk past these beautiful pieces without enticing from them their liquid treasure. I am content merely to admire, and to recall with the most delicious fondness, my first trip to Berlin. That magical summer long ago when I fell in love with this amazing city and swore to myself that I would one day return and make it my home. Every time I encounter one of these pumps I wonder at their history. When were they built? By whom? Why? Why do they still work? All these questions and more crash and collide as my brain offers up ideas both plausible and fantastical. 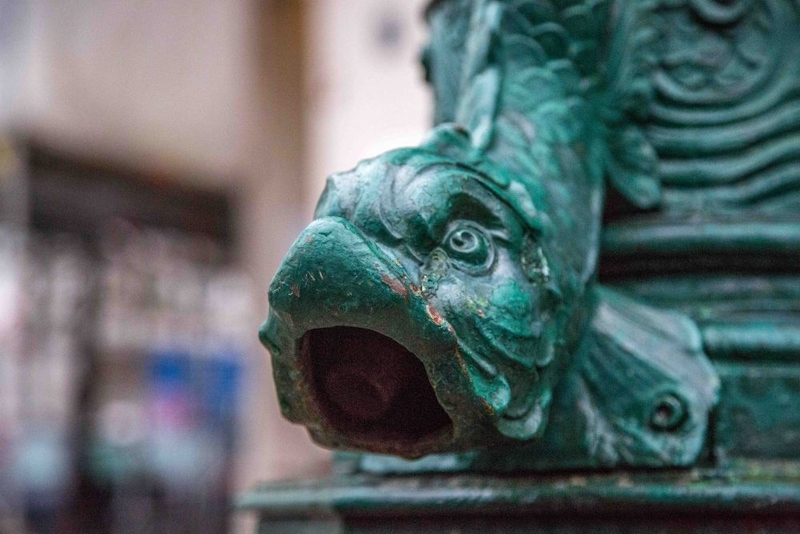 I resist the powerful urge to Google, terrified that the cold hard facts of the matter will rob me of the magic and childlike wonder that accompanies my every sighting of these humble hosts of H2O. 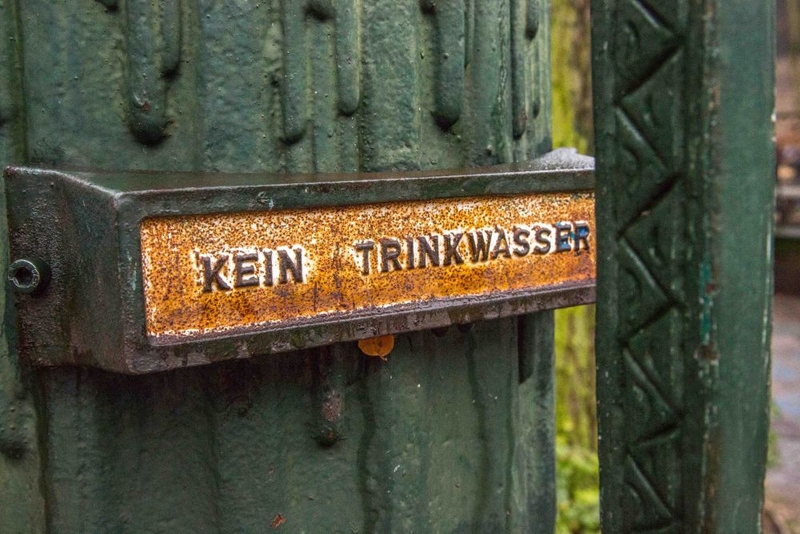 Instead, I let myself daydream about the people whose thirsts were quenched in a time before Berlin’s water supply network was built, or during times of war and destruction when houses were reduced to rubble. 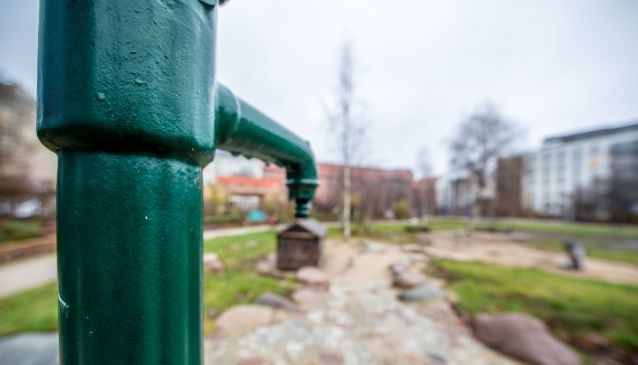 I picture people congregating at the well, talking and laughing with their neighbours as they take turns pumping the handle and filling their wooden buckets, splashing each other playfully like children on a hot summers day and forgetting for a moment their worldly concerns. I wonder if the pumps are lonely, or ashamed that they now sit dusty and largely unloved. Perhaps they are, but I like to think that are sitting, waiting, patiently biding their time until a new friend cranks at their handle, happy to once again be needed, even if just to satisfy the curiosity of a childish bearded man.